With the growing demand for smarter energy management, utility companies are incorporating cutting-edge technologies such as IoT into their infrastructure to solve the energy distribution and management predicaments. Furthering this trend, companies and distributors are making a beeline for a smart meter technology to improve transparency, risk control, and cost-efficiency while eliminating the need for field agents to visit the site to collect meter readings. Through smart meters, utility companies can better monitor the electricity supply system, empowering them to remotely connect or disconnect electricity to home and commercial establishments without manual intervention. This ability helps them to manage peak load demands, detect fraud, plug loopholes, and prevent outages. Meanwhile, on the customer side, the centralized cloud servers can communicate the energy usage data to the stakeholders, empowering them to make smarter, informed decisions about energy usage. As the data generated from different touch points are exposed to a range of cybersecurity challenges, companies need a robust smart meter solution that not only facilitates electronic communication between utility meters and energy suppliers, but also provides optimal data security. Today, numerous smart meter solution providers are taking a security-first approach to solving these challenges in the market. Zeroing in on the right smart meter solution that fits their requirements is often an uphill task for the enterprises. 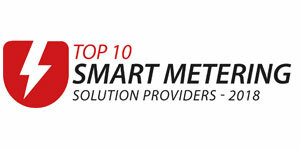 To simplify the process, we have analyzed several smart meter solution providers and shortlisted the companies that are at the forefront of addressing the critical requirements in the industry. 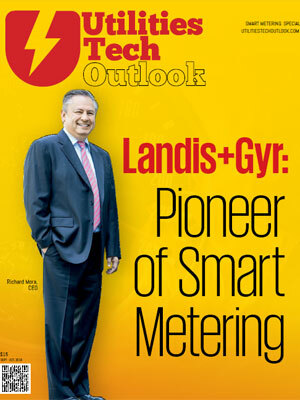 A distinguished panel comprising CEOs, CIOs, VCs, Analysts and the editorial board of Utilities Tech Outlook has selected a list of leading smart meter solution providers. The companies featured in this edition exhibit extensive business process knowledge along with innovative strategies in the smart meter arena.